Sandy Petersen (and I triple-checked, it really is him this time) has only a half-day left on his Cthulhu: The Harbinger Kickstarter campaign. It's a huge Cthulhu mini that also has rules for many of Sandy's great games. 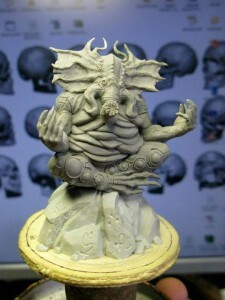 Want a huge figure for Cthulhu Wars? It's got rules for that. Hyperspace? It works there, too. Eternal Adversary? You don't get much more eternal than a Great Old One. 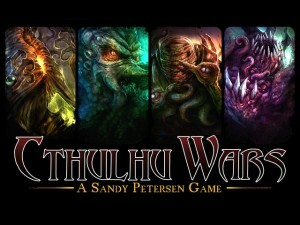 Petersen Games' Cthulhu Wars is one of the most popular Cthulhu-based games out there. Players take on the role of some being, looking to conquer the Earth for their own, nefarious purposes. Well, the game is looking to expand out with a new faction, the Ancients, as well as a new map to fight over, plus extras for all the existing factions. As such, there's a new Kickstarter campaign up to fund it. 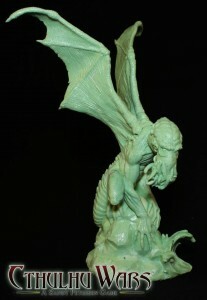 You can also pick up previous Cthulhu Wars items as part of the project. Every good monster movie has a sequel. So why shouldn't the same hold true for every good monster board game? Petersen Games hit a home run with Cthulhu Wars. But they're not just sitting back on their success. They know you want more. You want to experience what it's like to be one of the Great Old Ones, yourselves. 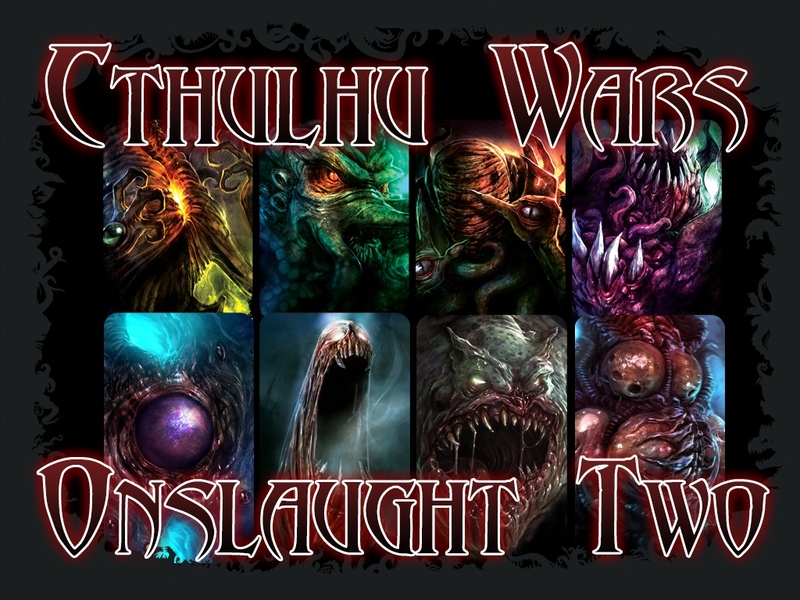 So that's what you get in Cthulhu Wars: Onslaught Two, now up on Kickstarter. Cthulhu Wars added a new pledge level to their campaign on Kickstarter, as well as posted up some new concept art for the game. We have put everything gameplay related into a single bundle "De Vermiis Mysteriis" for only $525!!! This makes it simple to get all of the gameplay items (including the 6-8 player map) and save money! See Pledge levels for more details! Also, if you are on a budget but want choices, we also added the "The Book of Eibon" bundle for only $325! This gives you more freedom with the Player Marker and you can pick THREE out of the seven possible expansions. See Pledge levels for more details! Cthulhu Wars has unlocked their Mutant Collectors Miniature over in their Kickstarter campaign. Here's a look at the green for it. We are really excited about this one! 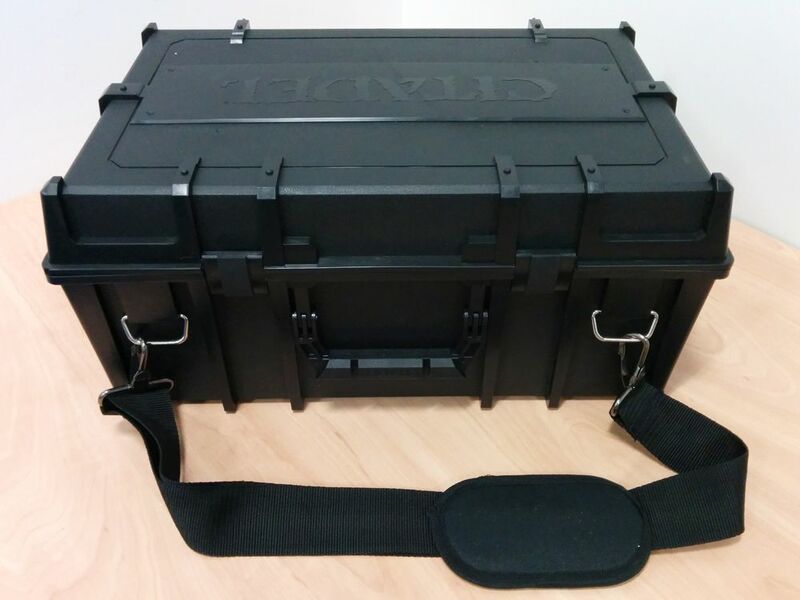 So much so, that we are going to show you the photos that Fenris Games sent us of the Mutant. It is, technically, not finished or molded but you can certainly see how terrific this model is going to look. The Mutant is one of the Monsters available to the Opener of the Way. His Cultists are actually able to "grow" into a Mutant, and then, later on, the Mutant can grow into an Abomination, and so up the line. 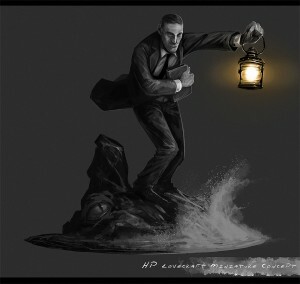 Cthulhu Wars has a preview up of the artwork for the HP Lovecraft Player Marker over in their Kickstarter campaign. 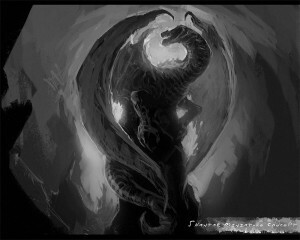 Cthulhu Wars posted up some more concept artwork for their game over on Kickstarter. Cthugha, Rhan-Tegoth, Father Dagon, Mother Hydra, Chaugnar Faugn, and High Priest. Cthulhu Wars has been doing rather well over on Kickstarter. They've made it through a bunch more stretch goals and have posted up some new concept art for the game. Thanks for all the great support so far everyone! The first part of our Kickstarter has been a huge success! Now we need your help getting the word out about Cthulhu Wars so we reach even more fans! We are very grateful for all the backers so far, but need help spreading the word and will reward our loyal fans with tons of goodies. That is why almost all of the stretch goals from here on out are all FREE display figures, along with some "special" upgrade add-ons. To reward you for helping us spread the word, you will get a Kickstarter exclusive, a free special set of display figures for all Cultist pledges and above. As we get more backers, we will give away more and more of these FREE figures. So tell your friends, share this news on Facebook, gaming forums, etc! Thanks for all the support and help spreading Cthulhu's influence around the world! Cthulhu Wars posted up a preview version of their rulebook. Go check it out before you possibly pledge to their Kickstarter. Sandy has provided the latest version of the Rules for Cthulhu Wars! Cthulhu Wars made it up and over $400k over on Kickstarter, unlocking more content for the game. Go take a look. 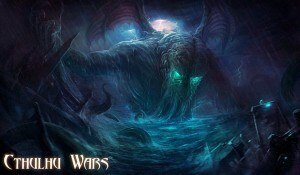 Cthulhu Wars has launched their Kickstarter campaign. They've already busted through a ton of stretch goals, so go and check it out. 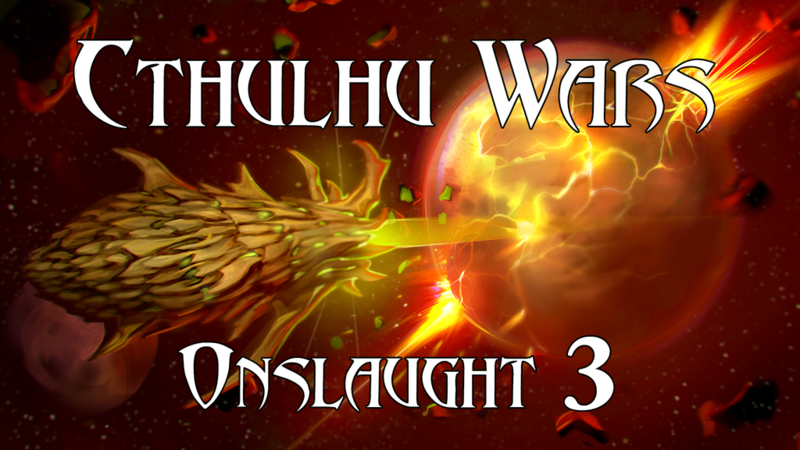 Cthulhu Wars are getting the last few stars into place to launch their Kickstarter campaign. OK, sorry for the lack of communication the past 24 hours. I don't think I've gotten up from my computer this whole time. We had trouble with getting the final edits of the video and getting it rendered. BUT, it's done! It's been submitted for Kickstarter, and now we wait approval. We will launch it as soon as they give the OK. Their estimate is anywhere up to 3 days, so let's all cross our fingers. I hope to wake up in the morning and see the green light. Once again, we are really sorry for the lack of communication the past day. Thank you so much for you patience. We have lined up some MEGA discounts for early birds, as a token of our appreciation! Cthulhu Wars has posted up a photo of their test resin for Cthulhu himself. I mean, if you're gonna have a game called Cthulhu Wars, it should have Cthulhu in it, after all. Some raw test shots in resin, but couldn't wait to share the Great Old One himself. Absolutely amazing work from concept to sculpture! Standing over 7 inches tall, this figure is the precious of our game, but he is not alone, there will be dozens of other equally impressive creatures.